“Impact Construction has been a client of Rempel Engineering & Management Ltd. since 2006. As a company they have been excellent to work with. Impact Construction and Rempel Engineering have combined efforts on almost twenty various home renovation projects over the past five plus years and we are proud to be associated with each one of them. The quality of projects and level of planning that Impact Construction puts into each renovation simplifies the process for us as engineers, an example speaking volumes to their commitment of delivering quality products to their clients. As the president of Impact Construction, Gerald Audit has been a pleasure to work with. In addition to being very professional, it is apparent that Gerald is experienced in his craft. Gerald is knowledgeable enough to bring his own ideas to the conversation while at the same time willing to take suggestions. Together these characteristics allow for the formulation of a well-crafted and timely solution. He is quick to obtain professional services when required so while we do not typically see finished product we are confident that the structure beneath is of good workmanship. – Cliff Rempel, P.Eng – Owner of Rempel Engineering & Management Ltd.
“Braid Flooring & Window Fashions is a locally owned business which has been operating in Saskatchewan for 30 years. Our focus is on providing quality flooring and window coverings using textures and styles which will suit the lifestyle of the home. Our philosophy parallels that off Impact Construction which is why we have worked on many projects with them. Impact Construction has chosen its current suppliers based on their ability to meet the high standards they hold for their customers. Impact Construction has shown through their years of proven success that their customer’s satisfaction is of the utmost importance. They are able to provide a quality finished product based on expert knowledge, commitment to quality, and a high level of professionalism. The principles which create the foundation of Impact Construction are exemplified by its leader and President, Mr. Gerald Audit. Mr. Audit conducts business in a highly ethical and professional manner. No matter the situation, you will always find Mr. Audit using a positive approach to resolve complex issues. “We have had the pleasure of working with Impact Construction Inc., on a number of quality renovations where Appl Custom Woodworks provided the kitchen & bath cabinetry. At Appl Custom we have a detailed client consultation system that has to be followed in order to manufacture the best product for the client. The team at Appl Custom found Impact Construction to be well organized, encouraged client interaction and did so effectively until completion. All stages of the renovation and installations were done without delays and everyone involved had a co-operative let’s get it done attitude. Impact Construction’s clients were guided from the initial phase to completion by true professionals in their field. 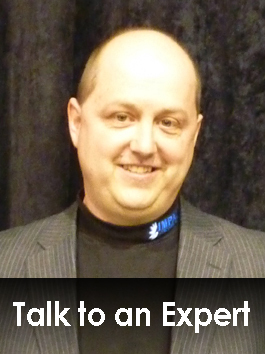 Gerald Audit is an organizer and communicator making all our dealings with him most enjoyable. The team he has assembled masterfully did their work, especially his site person, who showed he cares. Gerald was available via all forms of communications when needed. Changes were sent in a timely manner for all of us to respond to. The process went as well as it did because of his experience with sub trades like us and his dedication to his client’s best interests. “Working at Richardson Lighting, I have been fortunate to work with Gerald Audit and his team at Impact Construction Inc. Over the last three, I have seen Gerald’s business grow to become a leader in the industry. “Gerald has put together a hardworking team who are also reliable, friendly & approachable. They use experienced trades-people who take pride in their work. It’s always nice to visit a job site that even though its being worked in, is clean – to me, that really shows a company cares not just about the job itself, but even the fellow trades-people that are required to visit the site. Gerald and his team will do everything they can to get the job done right and in a timely manner. Impact Construction cares a great deal about quality – wanting nothing but the best for their clients. “I know Impact Construction due to the fact that they loyally use our company as one of their many suppliers. I personally have known Impact Construction for almost 3 years, and they have been purchasing product from FLOFORM since 2004. Dealing with Impact Construction is almost effortless. Everyone you talk to is always very professional, organized and informative as to what the complete situation is and what the desired outcome is to be. I appreciate that Impact Construction doesn’t leave a job site until the customer is completely satisfied. There are never any cut corners and they go the full extent to make sure the process goes as smooth as possible. We all know that sometimes we encounter hardships which can make an easy job much more difficult than it needs to be, but Impact Construction always seems to keep a positive attitude and outlook while working forward towards the goals of both their customer and themselves. They are also very up to date with technology by having a user friendly website and active Facebook page. The president of Impact Construction, Gerald Audit, is definitely an extraordinary one of a kind guy. He is extremely knowledgeable and tremendously personable. These qualities define an exceptional businessman. Gerald is always good to his word and works hard to ensure he delivers the best possible outcome to any and all of his customers, colleagues, suppliers, and anyone else he comes in contact with. He is part of a great team who always works together and he sets a positive example to everyone around him. Gerald is always 100% devoted to each and every existing, as well as a potential customer; no matter how big or small the job may be. Because Gerald is such an easy going straight forward guy, he is particularly easy to deal with which makes things run rather smoothly, which we all can appreciate. Impact Construction will continue to grow and become more successful day by day because of Gerald Audit.